Set of Three ( 3 ) - Cleaning, Polishing, Buffing or Shining Clots. Excellent quality - 100% Cotton with red color stitches. Large enough to be used on any of the daily various cleaning or conditioning jobs: purse, bags, shoes, boots, furniture, wood, silverware, jewelry, cars, motorcycle or other leather items. 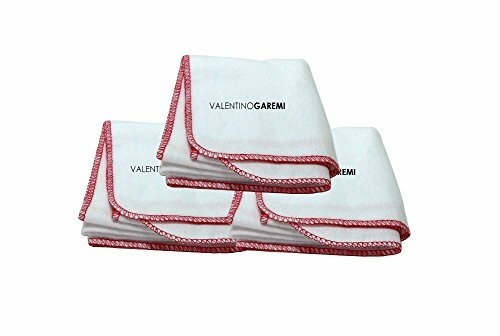 If you have any questions about this product by Valentino Garemi, contact us by completing and submitting the form below. If you are looking for a specif part number, please include it with your message.